Need a parcel delivered in a flash? NI Parcels provides super fast delivery times. NI Parcels provides Next Day delivery on many of our 200+ routes. We understand that time is of the essence when sending a parcel, so we ensure that fast delivery is a top priority. To find out if Next Day delivery is available to you, simply visit our homepage and get a quote. Once you’ve entered the details of your delivery, you’ll be presented with a list of quotes from our couriers, detailing their prices AND delivery times. NI Parcels also offers international delivery to 200+ countries worldwide. We provide fast delivery on worldwide routes of 1-2 days, 2-3 days or 3-4 days depending on the destination of your parcel. 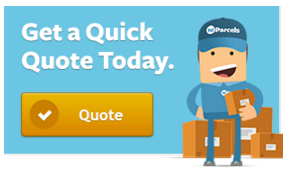 To get a delivery time for your parcel, visit our homepage for a quote. Next day delivery services are available from Parcelforce, City Air Express, DPD, Captain Courier and on our NI Parcels Express 24 service. NI Parcels works with only the top courier companies to ensure that you receive a fast, quality service. We have partnerships with these top couriers and can offer their great services at our low prices. Find out more about Our Couriers. Booking with NI Parcels is up to 80% cheaper than booking directly with the courier. So whether you’re a business user that needs a permanent shipping solution or a personal user who just needs to send the odd parcel, we can help you make considerable savings on your delivery costs. See how much you could save by getting a quote now.